It’s hard to believe that the gorgeous city of San Diego has been my home for over five years now! The city’s natural beauty and nearly perfect weather lends itself to the loveliest romantic experiences. 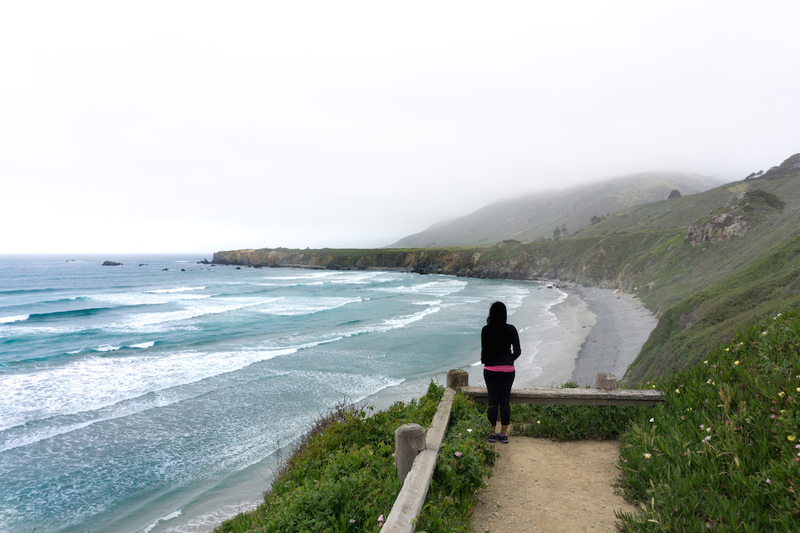 I stand by my views that a picnic overlooking the ocean is the most romantic meal of all, and there are plenty of cute spots in San Diego for that. However, if you are looking for something a bit more traditional, don’t panic! Some of San Diego’s restaurants have stepped up to help bring the city’s romance into it’s dining. Here is a list of ten restaurants that are sure to wow your date! Bertrand at Mister A’s Restaurant is arguably (and probably undisputedly) a very romantic restaurant in San Diego. 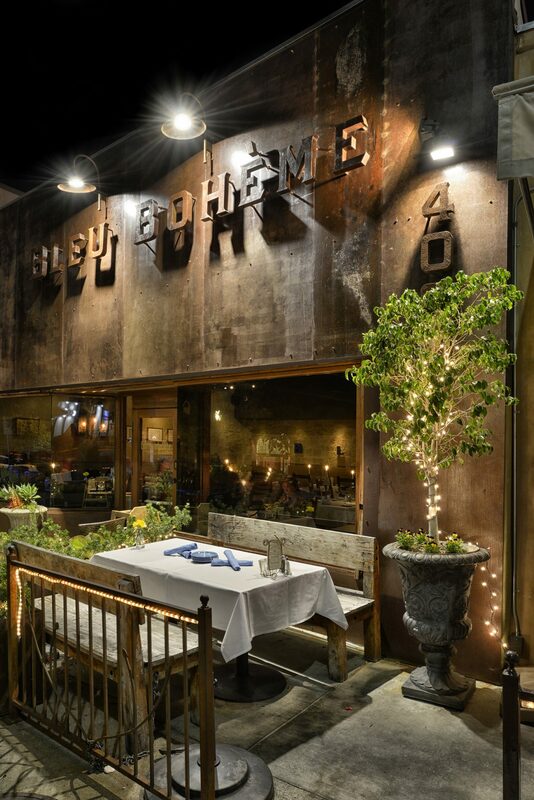 This is no secret, so make a reservation well in advance, especially if you want to get the best outdoor seating. It’s perfect for a celebration, or an important date night, because they have a dress code, which always elevates the romance factor! I was pleasantly surprised that the food is great quality and extremely delicious, making Mister A’s that rare restaurant which delivers both amazing food and amazing views. 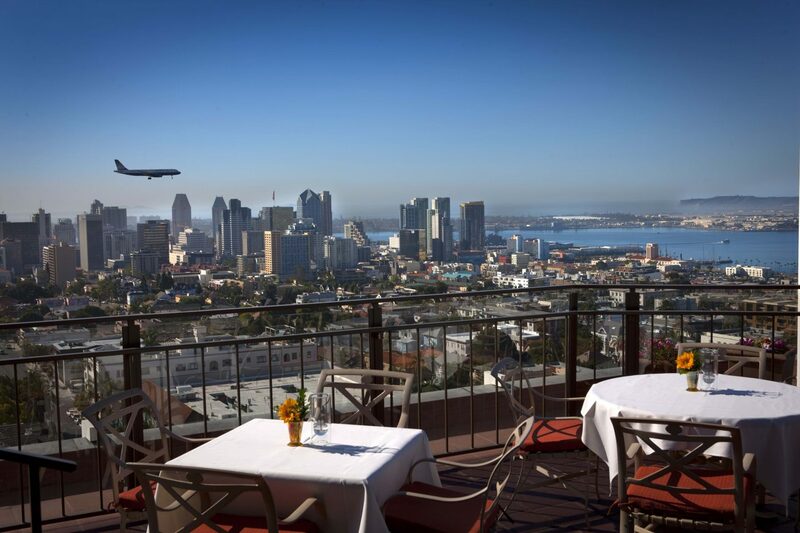 If you like to watch planes land through the buildings of downtown San Diego, while sipping on a fine glass of champagne, this is the restaurant for you! 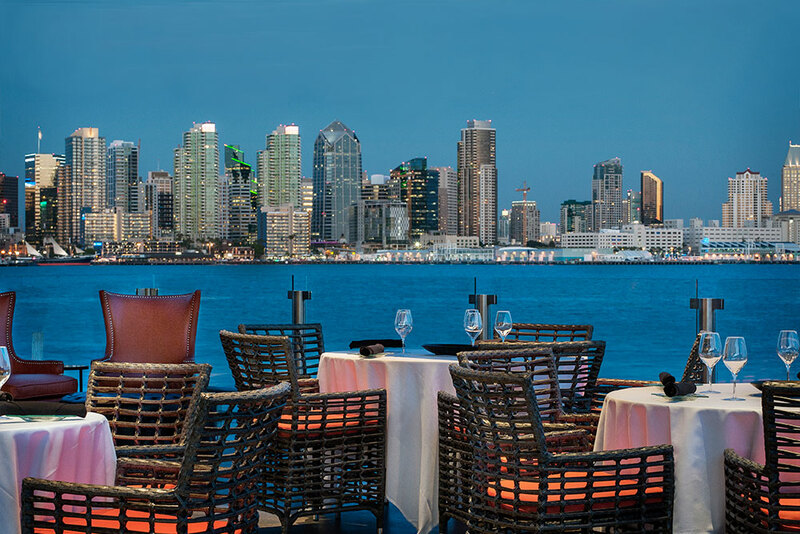 About five minutes from the San Diego Airport is a romantic place called Shelter Island, which offers amazing views of downtown San Diego. And at the tip of Shelter Island is located a very romantic restaurant called Coasterra, serving not-very-expensive Mexican food. The food is great, the views are even better! This is especially a win if you are just flying in to (for that first hurrah) or flying out of (for that last hurrah) San Diego. 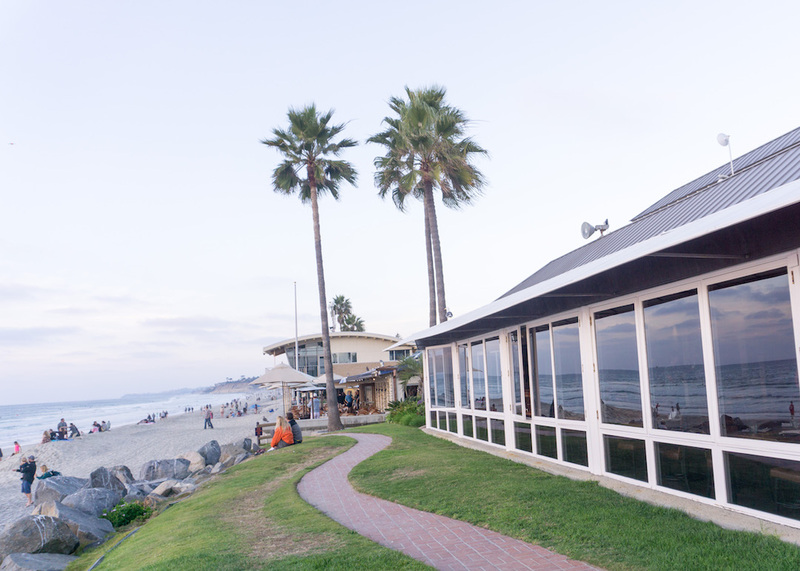 Jake’s Del Mar is the closest thing to fine dining on a beach in San Diego. If you reserve in advance and snag a table by the window, you can enjoy the fresh catch of the day while watching the waves crash on the sand. If you time it even better, you could watch a spectacular sunset as you sip your red wine, marveling both at the beauty you see and at the minimal effort it took to create such a perfectly romantic moment. Cucina Urbana was one of the first nice San Diego restaurants I was introduced to, and since then has always made my list of a celebratory dinner spot. The ambience is perfect for date night, and the food even better. Start off with their stuffed squash blossoms, and you are sure to have the best evening going forward. 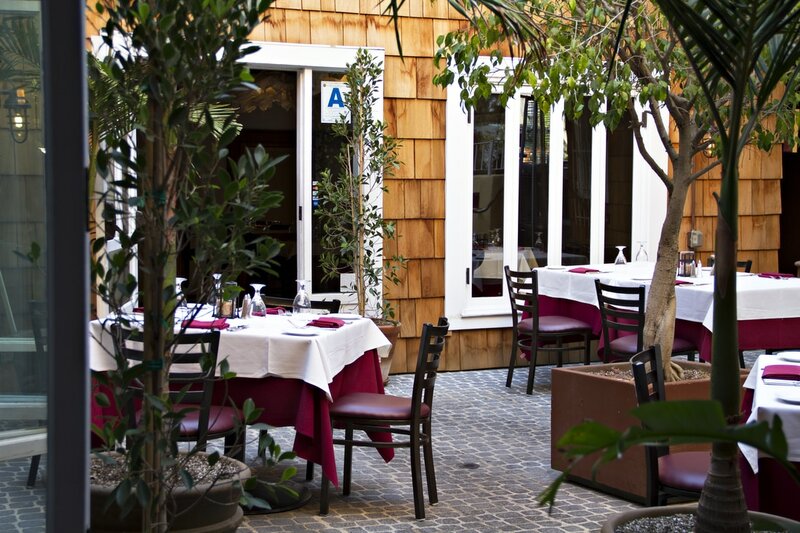 Cucina Urbana is located walking distance to Balboa Park. I highly recommend bringing your jackets, and walking over after dinner, because a moonlight stroll with your date is always a good idea, right?! 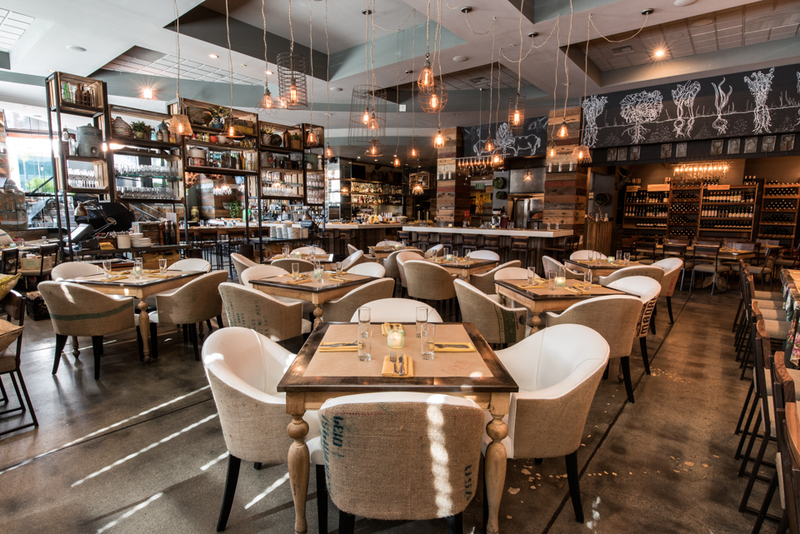 Acquavite is run by an Italian couple who make the best Tuscan food you can find in San Diego. It really does feel like a home cooked meal in an elevated setting. 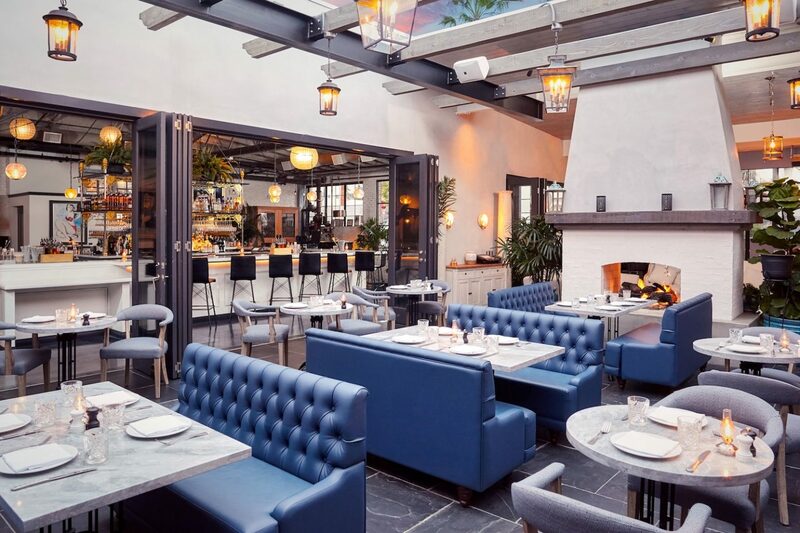 Call ahead to make sure you have a seat by the window for views of the cove, or one in the courtyard (pictured above) for a serene dining experience. Tip : Get the tiramisu for dessert – it’s delicious! If you want to dine in La Jolla simply for the views, then Georges at the Cove, or Dukes La Jolla might serve you better. But if you want exceptionally good food, along with great views – head to Acquavite! 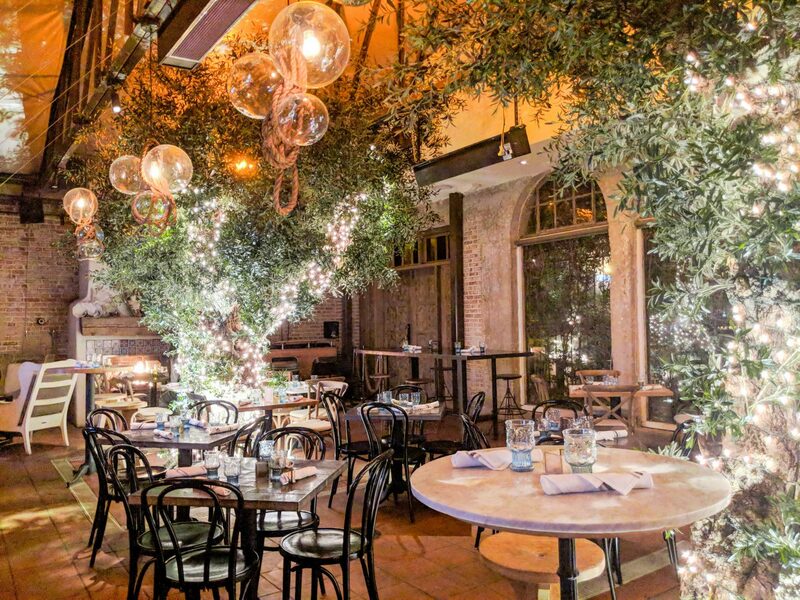 Herringbone’s romance comes from the fact that you get to dine in the company of 100-year old olive trees. You could also watch your food being prepared in their open-concept kitchen, so that’s at least two talking points for your date (you know, just in case things aren’t going as smoothly as you want). Be prepared to splurge a bit on the food, but you could always walk off all you’ve eaten by the Cove. Grab some gelato from Bobboi (cheaper and yummier than desert at a restaurant) for the finishing touches on a date you’ll be talking about for months. 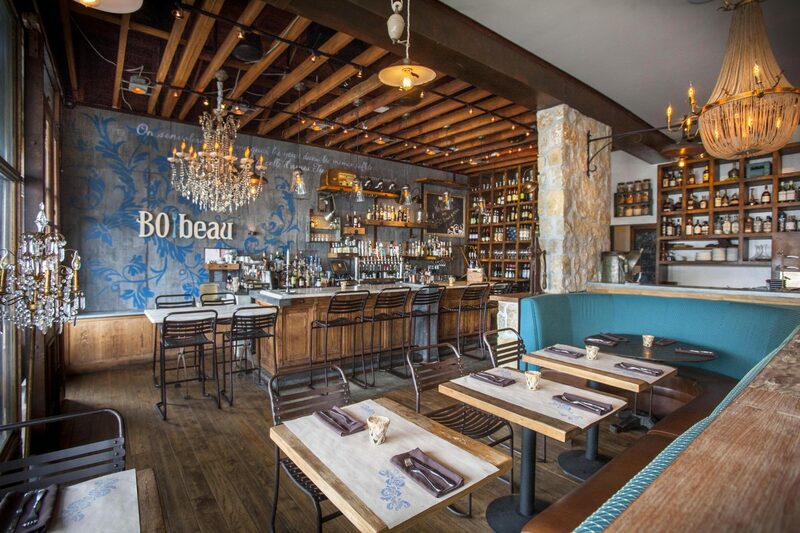 Bo-beau Kitchen and Cache is a pretty recent addition to the Hillcrest food scene. The lovely space and delicious food are perfect for a romantic evening. They specialize in fresh California inspired French food and craft cocktails. They also have an extensive wine list. My recommendation is to head to Cache – a cool speakeasy next door for cocktails before or after dinner. The surprise element of the speakeasy will definitely wow your date! To get into the speakeasy, go to the back of the taco shop Tacos Libertad and casually open the door of the freezer to get in. The Red Door is a cute little restaurant in Mission Hills, with, you guessed it, a red door. The interiors are light and fresh, just like the food. You will never leave the Red Door feeling stuffed and heavy, just very satisfied and happy. I love the ‘Blossom Pasta’ for dinner. They recently added a Bar by Red Door next door with craft drinks that change with the seasons, so definitely something you could add on to your evening! Bleu Boheme is an interesting French restaurant in the hipster neighborhood of Kensington. Their ambience is dark and old fashioned, with candles burning on tables. 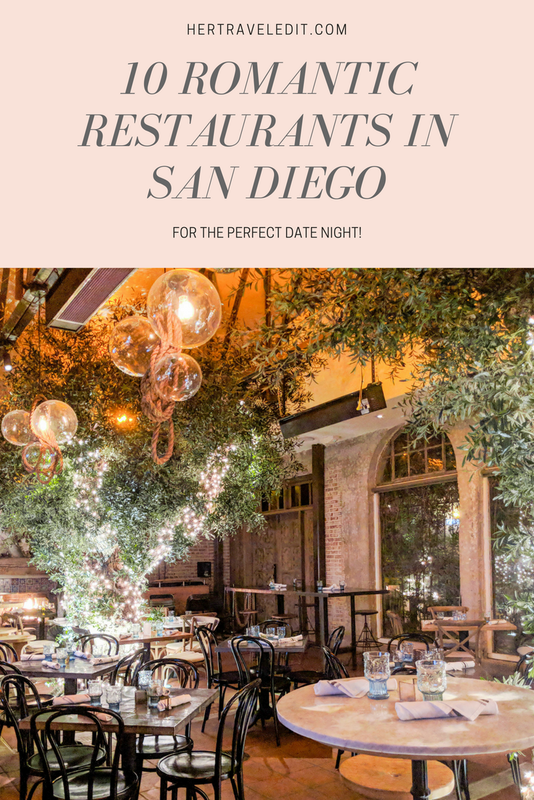 The old-school candlelight dinner romance recipe, paired with delicious food, makes this restaurant a must on any romantic dining list for San Diego. The entrees are a bit on the expensive side, so if you have a smaller budget, head there between 5-6 pm for their $32 three-course prix fixe menu. This would be sure to please your date, while also being kind on your wallet. 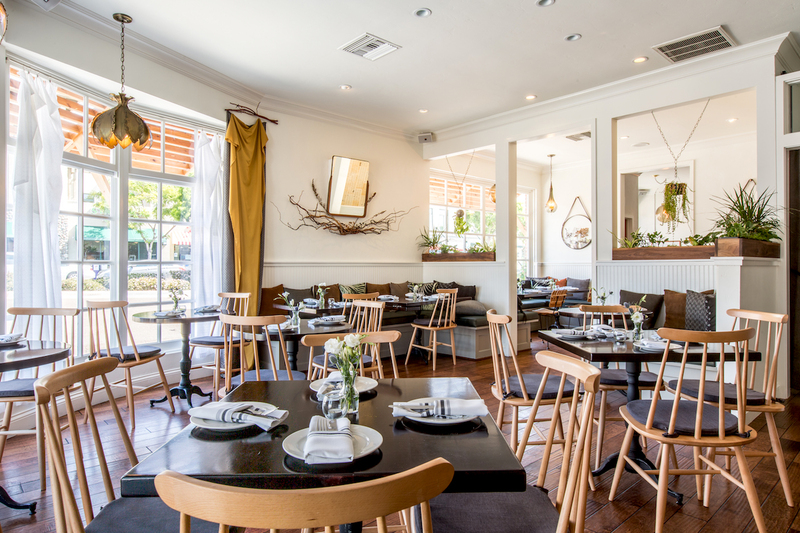 Herb and Wood is a relatively new entrant to San Diego’s hip dining scene, and no one is complaining about it. This cool space with the modern decor is as romantic as you want it to be, and the food is pretty good too! If you want a cheaper romantic date, Herb and Eatery, a day-time restaurant in the same space is a lovely breakfast / bakery / deli spot. One of the reasons Herb & Wood is a cool spot is that it’s close to Little Italy’s new urban winery and wine garden, Carruth Cellars. This would definitely add the final touch to your perfect date night! These are just the top ten in a long list of romantic San Diego restaurants! This list is curated based on the ambience, deliciousness of the food, and the cost to benefit ratio. 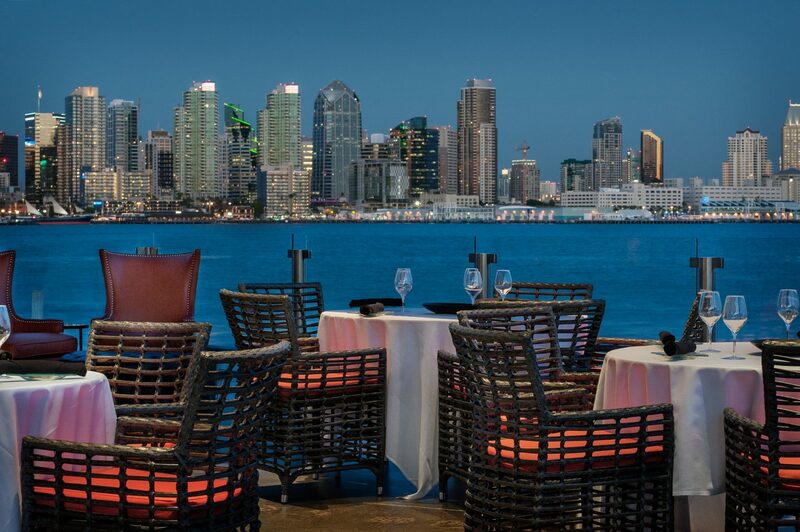 I have left out a couple of more expensive but arguably romantic San Diego restaurants – The Marine Room (go during high tide!) and Addison Del Mar – as they didn’t match my cost to benefit ratio criteria. However, if you have higher budgets, definitely check those out! For an extensive curated map of the best San Diego Restaurants (for all kinds of foods (including the best tacos!) and budgets), sign up for my newsletter! If you want to save this list for future planning, pin it to Pinterest! Hahah speakeasys are definitely trending right now. I love to fall for such gimmicks though heheh. Aww glad you enjoyed!! Hope you get to visit San Diego and try them sometime! Wow! So many options there!! I love the interior of Herringbone! Me too!! It’s a bit like a fairytale! Haha, hope you get to come back and try them! Aww glad you liked it!! 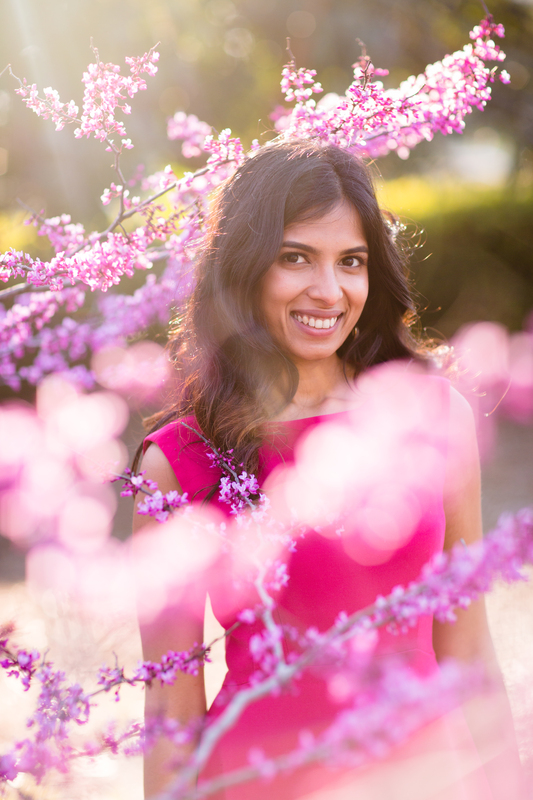 what a beautiful blog post – thanks for the great article. San Diego has so many great places to go out – hopefully I can visit this great city one day. Aww glad you liked it!! 🙂 Hope you get to visit soon!